MSH INTERNATIONAL is a world leader in the design and management of international healthcare solutions with over 330,000 insured members across more than 194 countries and 2,000 corporate clients. 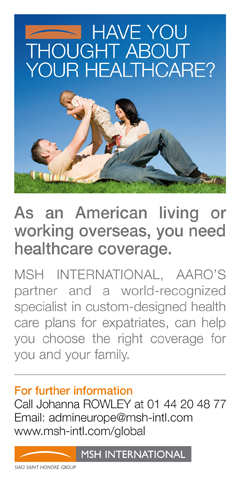 MSH INTERNATIONAL, a subsidiary of SIACI SAINT HONORE GROUP, specializes in offering international health care and death liability insurance for a wide variety of clients including individuals, small businesses, NGOs and multinational organizations. AARO’s plan falls under the individual classification, and AARO members join the plan as individuals. ​coordinating assistance in case medical evacuation is required. With clients around the world, providing easy access anytime is a major focus for MSH. Clients can contact staff directly or use a variety of online resources. Throughout MSH is committed to a caring approach to healthcare and 24/7 availability to its clients.